Cops Aren't Stopping the Looting in Ferguson, So the Protesters Are! 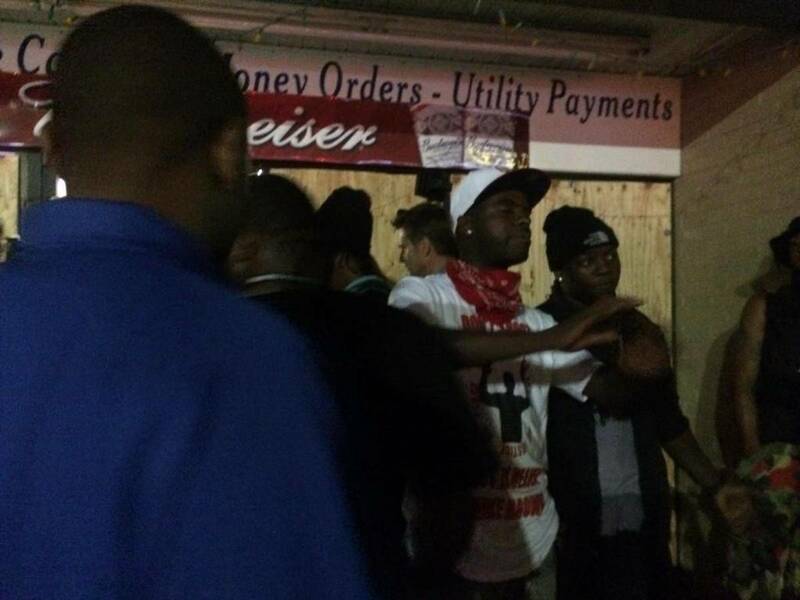 Home #Ferguson Cops Aren’t Stopping the Looting in Ferguson, So the Protesters Are! Cops Aren’t Stopping the Looting in Ferguson, So the Protesters Are! Things escalated once again late Friday evening in Ferguson, Missouri. An incredible uprising against the police state has been on-going in the streets there ever since the murder of seventeen year old Mike Brown, an unarmed teenager who was shot ten times by Officer Darren Wilson. Things seemed to be going smoothly after the peace (PR?) gesture by Captain Ron Johnson where he lead the march side by side with protesters, vowed no more SWAT and that they would treat people with respect. Media was threatened with arrest, protesters and press alike were given a 60 minute warning to disperse before being tear gassed, and reports of fireworks and smoke grenades flooded the internet. Protesters began chanting “we are ready” at the police, and social media was on fire with eye witness reports coming in by the second. Protesters in #Ferguson egging on police in standoff in middle of street chanting "we're ready!!" Despite fears of being arrested themselves, many protesters put themselves at risk to protect these local businesses. Even an attempt to loot the store that Michael Brown allegedly stole from was stopped by protesters, according to reports. Remarkably, the police decided to hold back and not engage the looters. The departments decision not to stop them, very shortly after assaulting crowds of protesters with pepper spray and arresting peaceful protesters, left many wondering who the police consider the real threat. The media is already seeming to change the narrative to protesters versus looters and overlooking the police role in all of it. It is important to point out that Thursday night when militarized police were not present, there was no conflict. Friday night protesters and media were assaulted by police and threatened with arrest just for being there and there was chaos.